When we reclaim our world of work, we finally see how we have unconsciously accepted a working life that does not serve us. We see how we been striving toward goals, and trying to meet expectations, that are not our own. When we reclaim our world of work, we reclaim our freedom to engage with the world of work in a way that is uniquely right for each of us. We are able to do the work we want, in the way we want to do it. But there are barriers to overcome before we can reclaim our world of work. First, we need to understand and accept our immersion in the culture of work. Next, we need to understand the work choices we have and how they were created. And lastly, we need to understand our values and beliefs about work and were they came from. When we overcome all three barriers, we are confronted with the freedom we have to reclaim our world of work. I say that we are confronted with freedom because that freedom can be terrifying. It’s terrifying because along with freedom comes the realization of how we are responsible for our own world of work. We will get what we create, just like we already have the world of work we already created. Culture is transmitted to us by the powerful people and institutions in our lives. We are immersed in culture without knowing it. We are like fish who are unaware of the water that sustains us. If a fish was dissatisfied with its life, became aware of the water, and then somehow blamed the water for its dissatisfying life, there is nothing the poor fish could do about it. But unlike fish, we can choose our water. We can create a satisfying, even joyful, working life. When we understand and accept our immersion in the culture of work, we become aware of the choices available to us. Our choice of jobs and occupations is limited by the division of labor. Although we are often able to change our geographical location and level of education to access different work, it will still be work defined by the division of labor. The only way to create new choices is to create a need that is met by doing work that has never been done before. Such innovation is beyond the reach of most people. In the end, there are only so many jobs, occupations, and businesses to start, so you’re going to have to pick one of them. And, you’ll need to pick the one that is truly and authentically meaningful to you. But we know that, for every job out there, there is someone who will find that particular job deeply meaningful. So, if all work available to us can be meaningful, how do you find the particular work that is deeply meaningful to you? The answer lies in understanding our values and beliefs about work. We must question the value of our values. One aspect of culture that is transmitted to us is the relative value of occupations and jobs. The result is our belief that certain work is more meaningful, valuable or responsible than other work. Once we understand our freedom to choose new values and beliefs about work, a new world of work is revealed. Now we are ready to confront our freedom to reclaim our world of work. As soon as we accept that we can change our values and beliefs about work, we immediately feel free. Regardless of whether being free feels liberating or terrifying, the hardest work is done and it’s time to create your plan to reclaim your world of work. In my upcoming book, I provide all the guidance, exercises, checklist and worksheets the help you free yourself from your dissatisfying working life, then I provide those same resources to help you create your plan. As soon as the book is ready, I will post parts of it on WorkFeelsGood.com. But you can start reclaiming your working life right now by joining the Work Feels Good Community. Please go to the community page are read what I do and what you can do. Click on the link to be sent excerpts from my upcoming book. It’s a detailed, step-by-step guide for reclaiming our world of work. 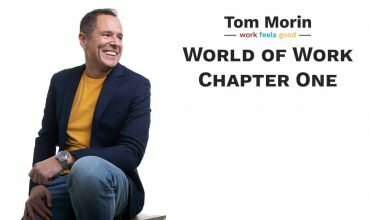 Download the free content at links throughout WorkFeelsGood.com. Click to be notified when I post new content. Connect with me on social media. I want to know about your journey through the world of work.